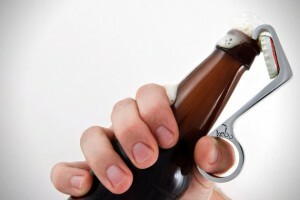 Has it ever struck you that opening a beer is way more effort than it should be? 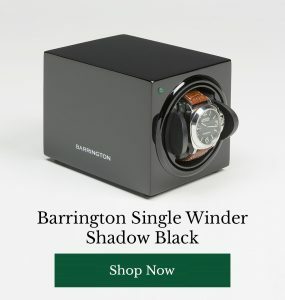 This masterpiece of engineering gives you the power to open your bottles with just one hand, leaving you free to change channels, put a record on, create your perfect playlist or shoot virtual bad guys with the other. Handy. Are you a big kid at heart? This beauty will unleash your childish streak. Pop your beer, then fire at Will (or Chris, or James). This creation zaps your cap 5 metres through the air, far enough to amuse and annoy, without the velocity to do any actual damage. 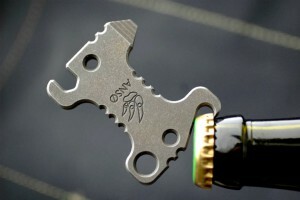 This swanky, solid titanium device doesn’t just look good and open bottles, it’s also a pry bar and a 1/4” bit wrench. Factor in the, frankly glorious, design and you’ve got a helluva gadget on your hands. With a rich, oil tanned leather strap and a gun barrel black finish, this is a pretty sleek beer opening device, made from a solid block of cold form steel. 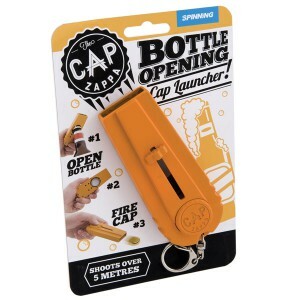 Does your bottle opener need to look this good? Probably not. Do you want it to? Oh yes. 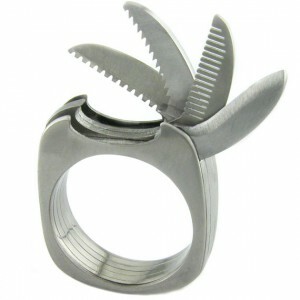 Bottle opener, straight blade, serrated blade, tiny saw, moustache comb – this remarkable ring has a lot to offer the average man cave resident. You may want to avoid taking this through airport security, but it’s a hell of a gadget nevertheless. 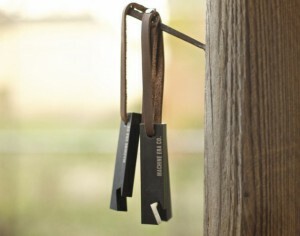 Which bottle opener would you have in pride of place in your man cave? Have you seen any other impressive designs? 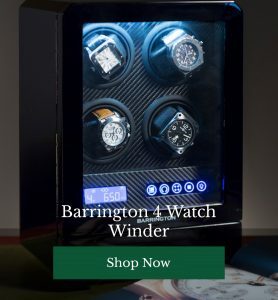 Share them with the Barrington’s team and our readers below!